It's not like I meant for Danley to get hurt. . . .
Julian Twerski isn't a bully. He's just made a big mistake. So when he returns to school after a weeklong suspension, his English teacher offers him a deal: if he keeps a journal and writes about the incident that got him and his friends suspended, he can get out of writing a report on Shakespeare. Julian jumps at the chance. And so begins his account of life in sixth grade--blowing up homemade fireworks, writing a love letter for his best friend (with disastrous results), and worrying whether he's still the fastest kid in school. Lurking in the background, though, is the one story he can't bring himself to tell, the one story his teacher most wants to hear. Mark Goldblatt is a novelist, columnist and book reviewer as well as a college professor at Fashion Institute of Technology of the State University of New York. His controversial first novel, Africa Speaks, a satire of black urban culture, was published in 2002 by The Permanent Press. 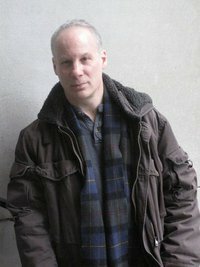 His second novel, Sloth, a comedic take on postmodernism, was published in June 2010 by Greenpoint Press. Goldblatt is perhaps best known as a political commentator. He has written hundreds of opinion pieces for a combination of the New York Post, the New York Times, USA Today, the Daily News, Newsday, National Review Online and the American Spectator Online. He has been a guest on the Catherine Crier Show on Court TV and done dozens of radio interviews for stations across the country and in England. His integrity has been called into question by the Village Voice - which should count for something. Goldblatt's book reviews have appeared in The Common Review, Commentary, Reason Magazine, and the Webzine Ducts. His academic articles have appeared in Philosophy Now, Academic Questions, Sewanee Theological Review, English Renaissance Prose, Issues in Developmental Education 1999, the Encyclopedia of Tudor England and the Dictionary of Literary Biography. I picked this book for my son to review a long time ago (I feel horrible that it has been sitting on my kindle for so long) but at the time my son decided he didn't want to read ebooks. So there the book sat until now. I picked up the book on December 30th in the evening, finishing it on Jan 1st after dinner. I would have finished it in one sitting I am sure if I didn't have other things that had to get done. 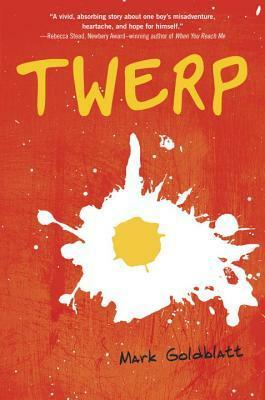 The author writes this novel in a journal format of a young sixth grader named Julian. Julian has done something with his friends that had gotten him suspended from school for a week. His English teacher wants Julian to write about what happened and why it happened, if he does this he will get out of his English assignments. At the start Julian says what happened wasn't that horrible, that he has done worse things and goes into depth about some of the things he has done. We follow Julian through the ups and downs of sixth grade - love, friendship and running. Julian isn't a bully but we know that something terrible has happened to another student and Julian was part of it. The author did a great job hooking the reader into Julian's life. There were moments of laughter, shock and tears. Finally getting Julian to admit to his part of what happened to a boy who lives in the neighborhood, who has a hearing impairment. Learning about going along with the group and getting carried away even when you know you shouldn't be doing it. I give this book a 4 out of 5 stars and would love to read more from Mark Goldblatt. I know my son will love this book and he has showed interest in reading it now.